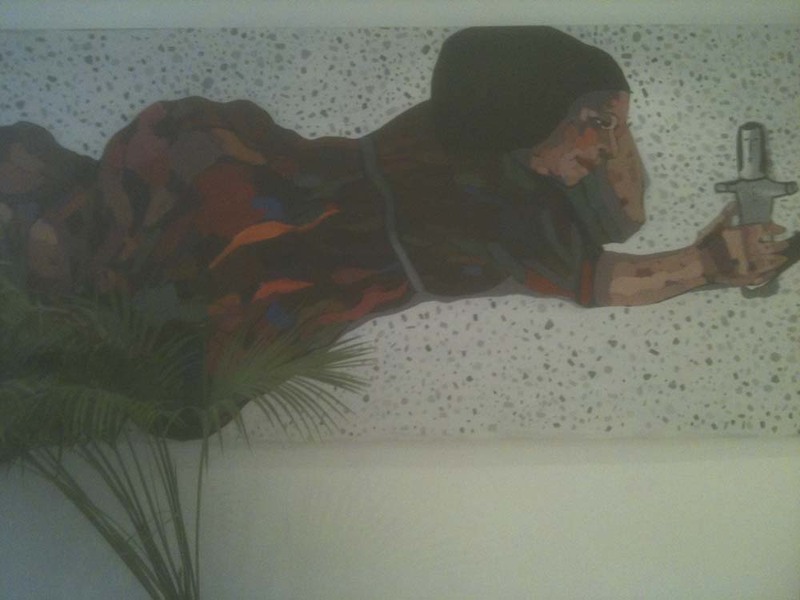 Over lunch, my brother Mohammed asked me if I knew who, from Inspire Advertising, bought one of my paintings from 2004’s Cultural Re-Expressions 101 exhibition. I told him that my memory doesn’t extend that far back. 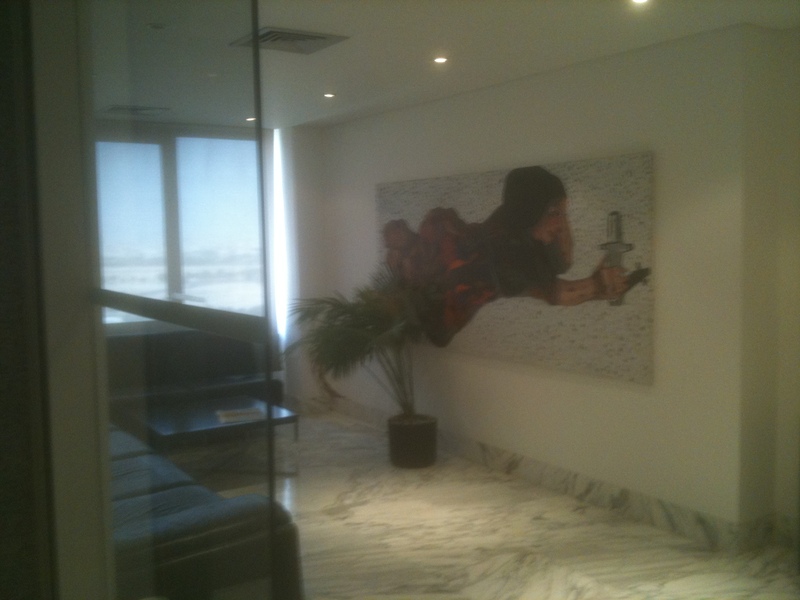 So he showed me this picture he took of one of my paintings outside the company’s offices, in the Alsaleh Building. It’s always exciting to hear when someone bumps into one of my girls!